1853 (July): 1 d. pale brick-red on blued paper, a used pair with large margins all round, lightly cancelled by CGH obliterator in black. 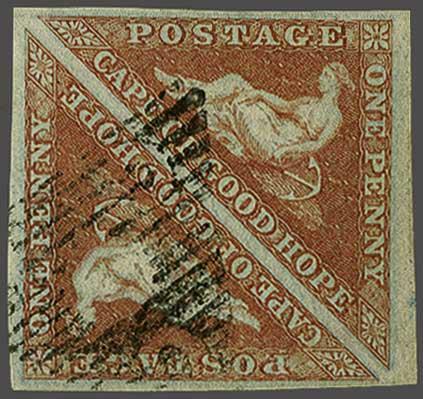 Natural paper crease on one stamp, a fine and attractive pair. Ex collection Contini Gi = £ 900.rnrnProvenance: Collection Sir Maxwell Joseph, Sothebys, Oct 1982, lot 191.